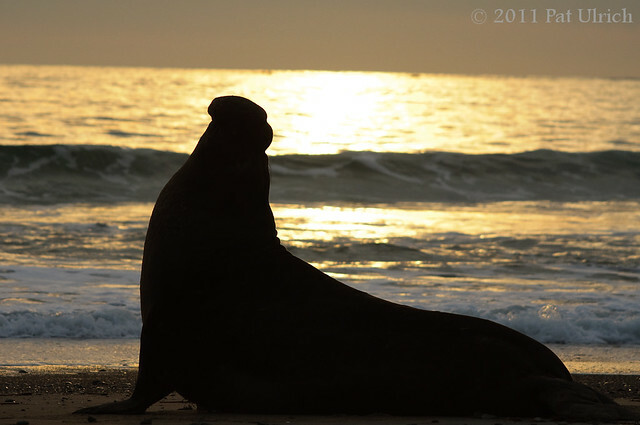 The backlit shape of a male northern elephant seal at sunset. This is certainly not my traditional style of photography, but they have a wonderful form when they are reared up like this, and I couldn't help but to snap off a few frames when the opportunity arose. Hi Pat, Great shot ! Love your website !